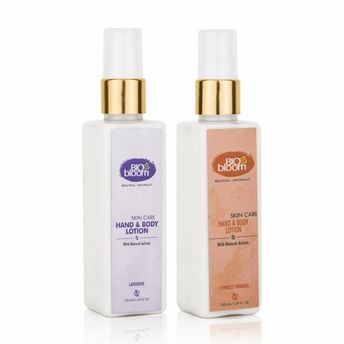 This set contains both variants of Bio Bloom's Paraben & LLP Free Hand & Body Lotions i.e. Lavender & Cypress Orange (100 ml each). 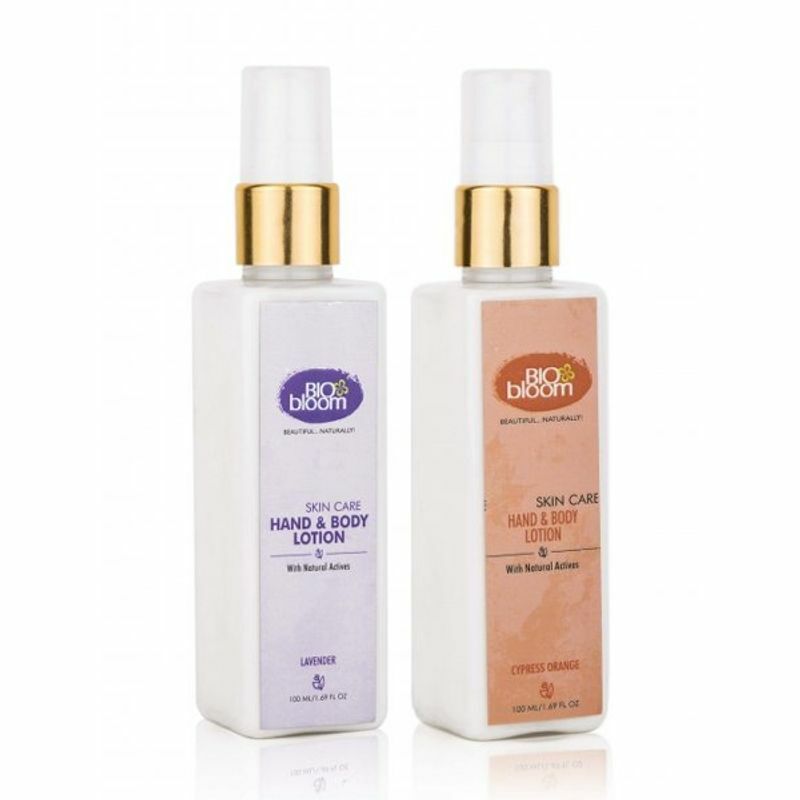 Enriched with Lavender oil, Biobloom's first variant of hand and body lotion is loaded with anti-oxidants. It keeps your skin moisturized for long periods of time and is suitable for all skin types including extremely dry, tight and chapped skin. Loaded with the goodness of Cypress Oil and Orange, Biobloom's second variant of hand and body lotion is rich in anti-toxins and anti-oxidants. This LLP & Petrochemical-Free Hand and Body Lotion helps reduce dark spots, aids in skin lightening and leaves the skin even-toned. This lotion restores oil balance and aids in treating acne.